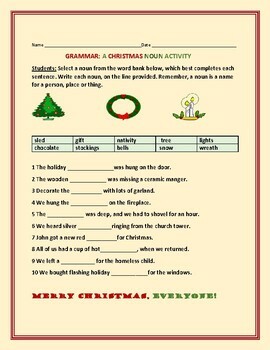 GRAMMAR: A CHRISTMAS NOUN ACTIVITY! 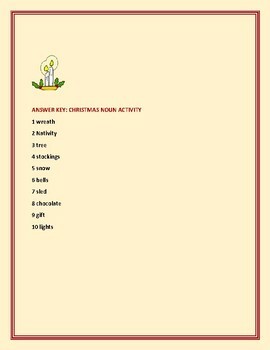 This activity asks students to select a noun from a holiday word bank, to complete each statement. Merry Christmas, everyone! An answer key is provided.